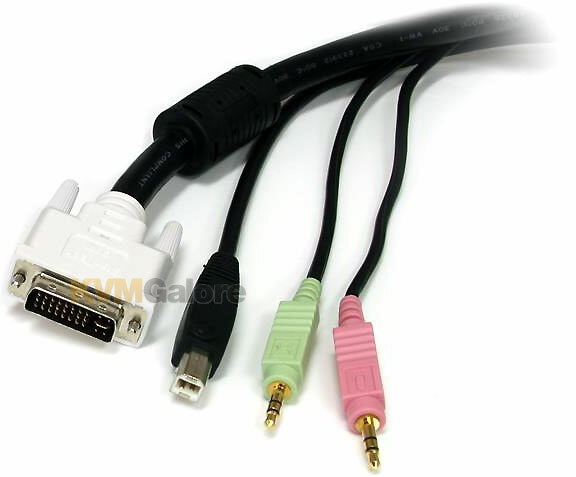 Buy this item and earn 20 ClubPoints. 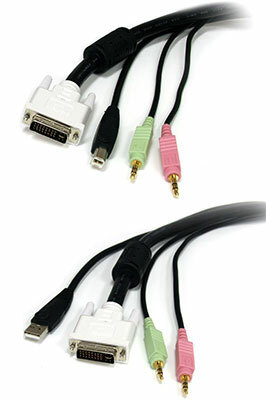 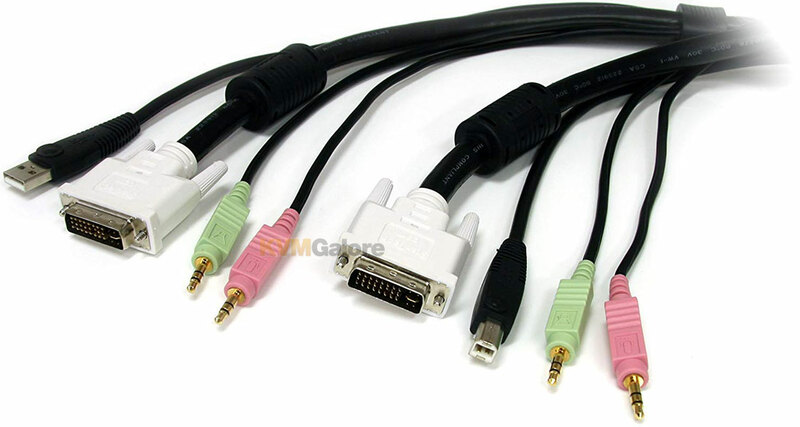 This 4-in-1 USB DVI KVM cable integrates DVI video quality with USB mouse, keyboard, 3.5mm audio out and microphone connections into a single, compact cable. 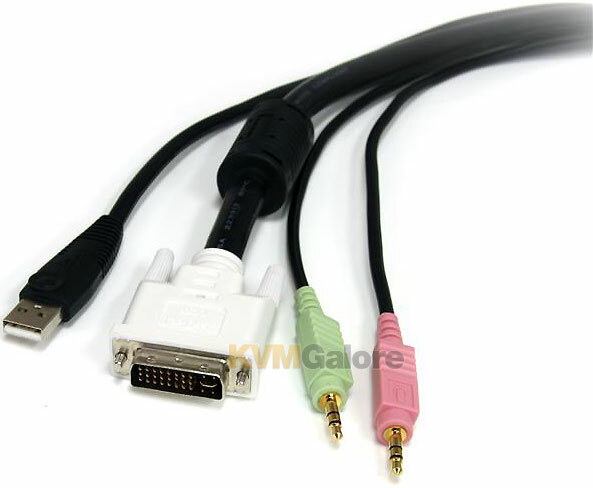 A reliable and hassle-free way to connect USB and DVI KVM switches, this high quality DVI USB KVM switch cable is backed by a StarTech.com's Lifetime Warranty.